BUT first, the rate of inflation in Central Visayas for August. 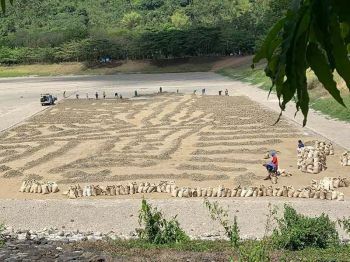 It's 6.3 percent in CV, compared to 6.4 percent nationwide, 7 percent in National Capital Region and 8.1 percent (the highest) in the autonomous region of Mindanao. Inflation is rising prices. When prices rise for energy, food, commodities, and other goods and services, the entire economy is affected. It "impacts the cost of living, the cost of doing business, borrowing money, mortgages, corporate and government bond and every other facet of the economy." Unlike extrajudicial killings, inflation eventually hurts everyone. And yet the talk of the country is Trillanes and EJKs. Maybe for the better, as the buzz on inflation is reportedly being used by a number of merchants to increase prices. Joan S. Largo, University of San Carlos law dean, has called President Duterte an "emerging dictator" whom she wants the Supreme Court to put "in his rightful place." She also charged him, according to an inquirer.net story, with "arrogating unto himself powers he does not possess, bastardizing all mechanisms of checks and balances so essential in a functioning democracy." And she challenged the Supreme Court of today to act not like the Supreme Court of the past "that buried its head in the sand, ostrich-like, amidst clear cases of abuse of authority." All in one FB post from the dean. Cebu's USC is the law school that has out-performed and out-ranked many other top law schools in the country. She was substantially responsible for USC getting four Top 10 spots, including No. 1, in the 2016 bar exams and, with other outside-Manila la schools, shutting out the Manila law schools from the magic circle of topnotchers. Heard that legal phrase lately? Legal experts refer it to issues that have "no textual basis" and no Supreme Court jurisprudence yet, thus raising it to the courts for the first time. The president may grant amnesty with the concurrence of a majority of all the members of Congress. But may he revoke it without such concurrence? The Constitution is silent and there is no law. But since the amnesty was in the nature of an act of Congress, its repeal must be also be legislatively approved. The Trillanes dispute is a "case of first impression." * Withdrawal of the Philippines from the International Criminal Court. The country's entry into the ICC was ratified by the Senate. Must its withdrawal also be approved by the Senate? These are what the president, in a joking mood on stage, would call "virginal assaults." 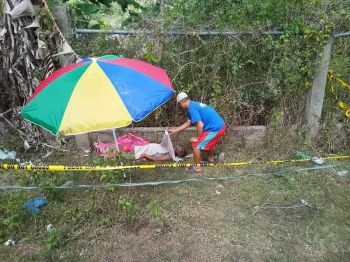 Police Region Chief Debold Sinas said he ordered the relief of "ALL" the Ronda police who were on duty at the time Mayor Mariano Blanco III was shot dead in his office Wednesday, September 5. How many would that be? Only two, according to Governor Junjun Davide who visited Ronda after the news broke out. Unless they include the other who were serving warrants, presumably outside the "poblacion" since they were not at the town hall during the dawn attack. Not as dramatic as the relief of the Talisay police: 65 cops in one fell swoop. 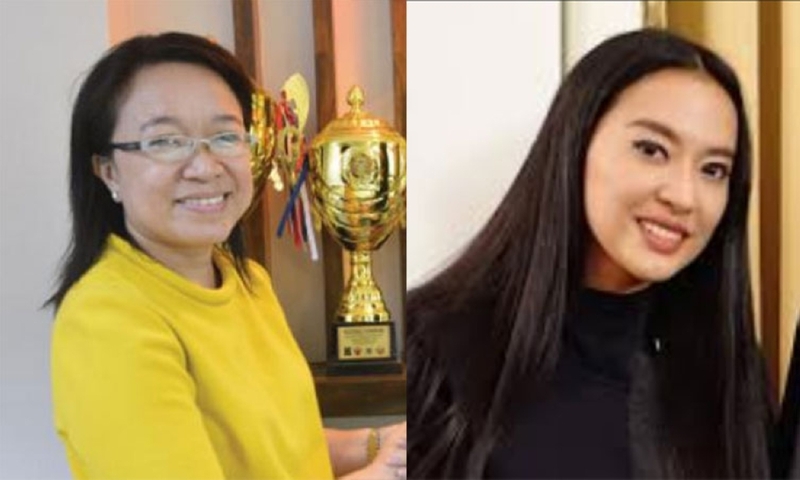 Margaux Uson, better known as Mocha Uson, works as undersecretary to PCOO chief Martain Andanar. But Andanar cannot discipline Uson, as only President Duterte can. At the House committee hearing Thursday (September 6) on PCOO's budget for 2019 -- P1.47 billion or a 2.75 percent increase -- another PCOO official, Andanar's subordinate, said Uson is answerable only to Duterte. How about PCOO's earlier news that Andanar, following the federalism promotion campaign fiasco, reprimanded Uson in a memo about being careful in her blogs and observe professionalism as a government official? That memo was addressed to all PCOO officials and employees, not just to Uson, the agency official testified.